This sign is for Florys Flour. The sign’s colors are red, white, and blue. 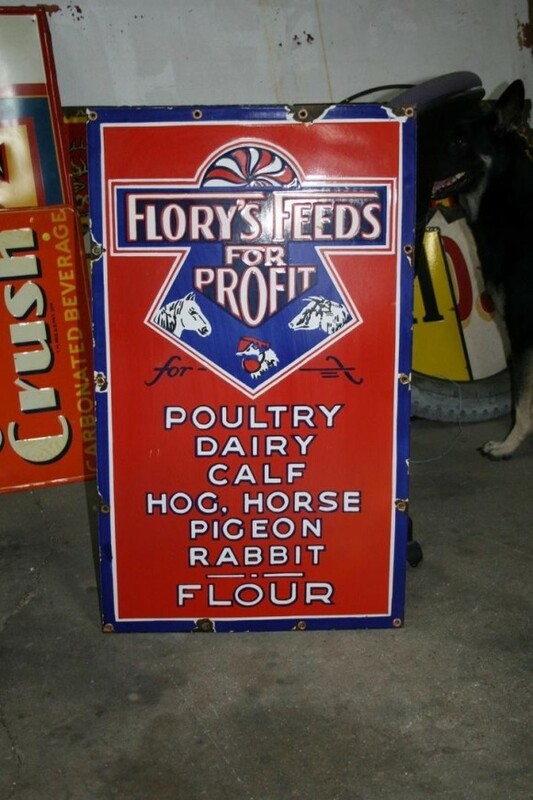 The text on the sign reads: Flory’s Feeds for profit for poultry dairy calf hog. Horse pigeon rabbit Four. The sign shows a logo at the top with animals in it and text below.